Classic burgundy velvet rope adds an upscale touch to any environment! 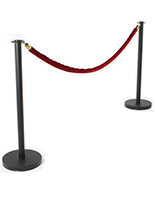 78" length sets stanchion posts a perfect 6' apart! 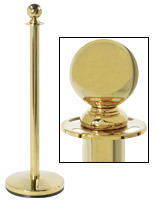 Sturdy polished brass hooks are designed to stand up to the busiest commercial environments! 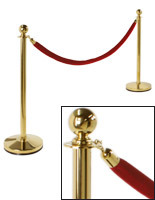 This crowd control rope is designed to configure with polished brass stanchion posts. The velvet barrier keeps crowds organized and separated with style. Plus, each crowd control rope is perfect for use in upscale locations. 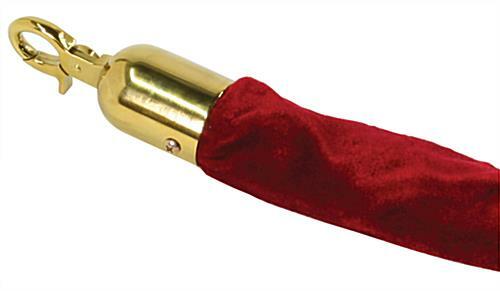 You will find a burgundy velvet rope in museums, ticket offices, theaters, hotels, casinos, or at red carpet events. This barrier may be just a small item in the grand scheme of your upscale décor, but it is definitely a major component in adding that final touch of elegance. The polished brass and burgundy velvet combination is one of the most classic color combinations for these types of displays. 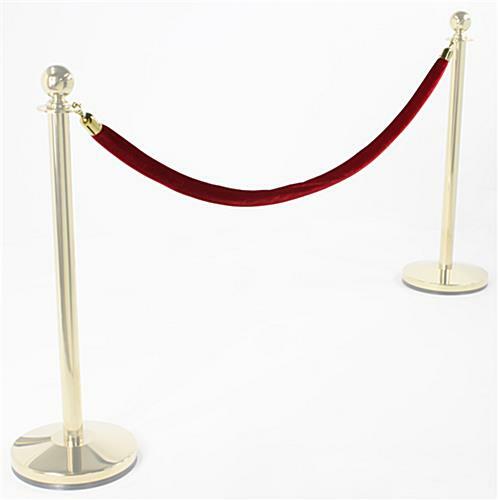 This burgundy velvet rope features polished brass ends & hooks to attach your ropes to stanchion posts. Each unit is crafted from a foam core covered with lush dark red velvet. 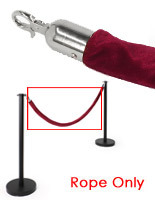 The stanchion rope is 78" long, so when you set it up at the ideal 24" height from the floor (recommended for safety reasons), your stanchion posts will stand at a perfect 6' apart. The crowd control rope is 1.65" in diameter. 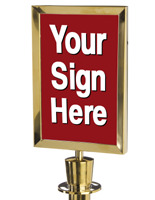 I ordered this product x 4 for the gold stanchions. and it is awesome. 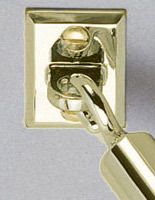 Great quality soft velvet and sturdy gold clasps. Thank you for the rave review! 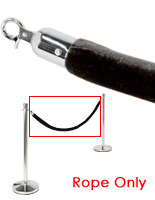 We're so glad to hear you're pleased with the stanchion rope and it sounds like it worked out fabulously! We hope to shop with you again soon. The product suggest that this is burgundy and the box says maroon when in fact it is red. Totally inappropriate for a church. We are very sorry about that, Angela. A customer service representative will reach out to you shortly to resolve your issue. We are also having our product team look into the product listing and correct the description if this was not a one-time incident. 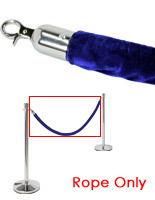 I had searched numerous websites looking for stanchion ropes. I had some reservations about these ropes when I 1st ordered them. After I received them I was amazed at quality for price. This was my 2nd order for these great ropes. Thank you for your feedback, Donald, and thank you for your repeat business! We hope to hear from you again soon. Thanks for the review, Pedro! Your display looks great!